Jewish leaders in Germany concerned after AfD party finishes second in voting in Merkel's home state. A far-right party in Germany finished second in voting in the political home state of Chancellor Angela Merkel, ahead of Merkel's party, spurring concerns among Jewish leaders in Germany. Alternative for Germany, known as AfD, with its anti-immigrant and ultranationalist platform, picked up 21 percent of the vote Sunday in Mecklenburg-Vorpommern, behind the center-left Social Democratic Party with 31 percent, which retained leadership in the state. Merkel's Christian Democratic Union had 19 percent; it was the first time that the AfD surpassed the Christian Democrats in any German state election. The fact that the right-populist party did so well -- winning 18 seats in the 71-seat legislature -- is widely seen as a further indictment of Merkel's liberal policy toward accepting refugees from war-torn Muslim countries and has set off alarm bells among Jewish leaders in Germany. "The AfD is not an option for Germany but an indictment of Germany," Josef Schuster, the head of the Central Council of Jews in Germany, told the German media after the results came in. Schuster said it appeared that many voters either did not realize or simply accepted the fact that the AfD had not distanced itself from right-wing extremists. "The fact that a right-wing extremist party that bluntly and disgustingly incites and mobilizes hatred against minorities can rise unchecked in our country is a nightmare come true," said former Central Council President Charlotte Knobloch, who heads the Jewish Community of Munich and Upper Bavaria. Christian and Muslim leaders expressed similar concerns following Sunday's vote. 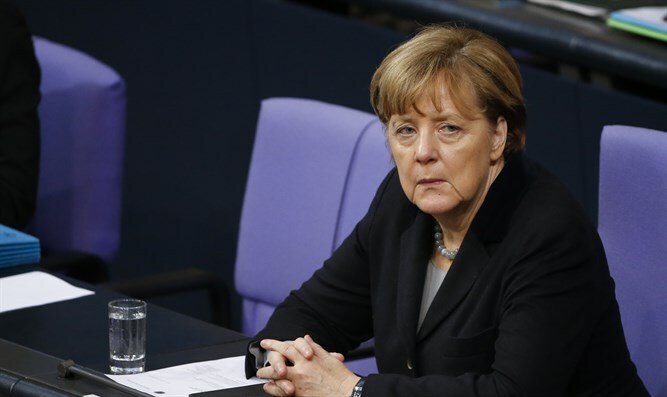 But Leif-Erik Holm, the AfD party leader in Mecklenburg-Vorpommern, told the German media that this "might be the beginning of the end" of Merkel. State Governor Erwin Sellering now will have to decide with which party to share power -- the Christian Democrats or the Left Party. All the mainstream parties had already ruled out taking part in a coalition with the AfD. The party, which was founded in 2013, has seen mounting successes in state elections, and now has seats in nine of Germany's 16 state legislatures. Berlin holds state elections later this month; three additional states will cast ballots in the first half of 2017, followed by national parliamentary elections in September. The AfD in the state of Baden-Württemberg recently suffered an internal split over a member of the legislature, Wolfgang Gedeon, who withdrew from the party faction within months of his election over charges that he had made anti-Semitic comments and belittled the Holocaust in writings.